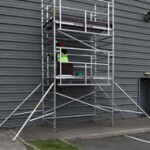 RightDeck – Low level access product for working at 3m and below constructed from heavy duty aluminium. RightDeck folds out to provide a fully-guarded safe working low level platform. One person operation. Snappy – Lightweight, heavy duty platforms which fold out in minutes. Featuring the unique high strength Rib-Grip jointing system Snappy units are guaranteed for 10 years. 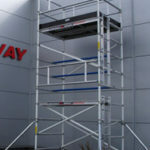 Step Up – Easy to assemble low level working platform suitable for one operator. Ideal for construction, maintenance, installation and cleaning. 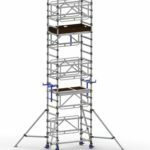 Towermatic – Three platform heights, one piece design, folds away. Tradie – Folding access platforms for low level access work. Consisting of just three component types – folding frame, platform and castors. Extension pack gives added functionality. 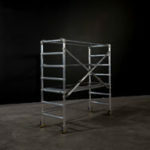 TS100 Podium – Low level lightweight working platform complete with touching brake. Compact and easy to assemble and dismantle. Boss compatible systems manufactured in Ireland. Integral system from Instant Upright takes safety to a new level. 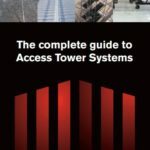 The complete guide to access tower systems. Lightweight, 4 M height, one person assembly. 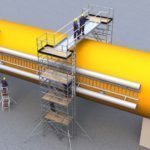 Ridgeway Safe Access Solutions offer the highest quality walkway systems and safe working platforms utilising standard tower components with a fabrication facility to suit specific client needs. 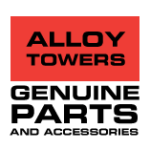 Supported by Upright’s team of dedicated professionals we offer engineering expertise unrivalled in the Alloy Access market.